Economic indicators point to a strong holiday spending season, but there’s a hitch: Low unemployment. How might competition for good seasonal workers interfere with retailer performance in the coming week and – more importantly ­­– years, to come? The answer rests largely on the in-store impressions they make. What’s $721 billion divided by 650,000? The answer isn’t as straightforward as you think. This is the formula for projected holiday spending divided by the number of seasonal workers expected to help make those sales. But the result depends less on an equation than on shopper experience. Retailers are preparing for a red-letter holiday season, with overall spending to increase by 4.3% to 4.8%, according to the National Retail Federation. Little appears to be getting in the way of the tinsel-trimmed shopping carts in terms of economic indicators, with the exception of one hitch, and it’s a big one: low unemployment. More specifically, a shortage of good talent. The NRF predicts 585,000 to as many as 650,000 seasonal positions will be added this year, an increase of 10% over 2017. Unemployment, meantime, is at a 50-year low of 3.7%. Even if retailers hire enough people to get through the season, will they be the right people, properly trained? Will shoppers leave stores happier that they made the trips thanks to helpful, knowledgeable staff, or will they leave with the taste of resentment in their mouths – bags full, hearts empty? Retailers shouldn’t just be strategizing employment fulfillment for the holidays – they should be planning it for after the holidays too. What happens in the store is important because, despite all the shipping and stocking technologies that entice shoppers toward digital ordering, physical stores are still where retailers can distinguish themselves one from another. And the people working in those stores – in the aisles or in online order fulfillment – matter more now, because so often they are the ones that can make a tangible and emotional difference to shoppers. This weightier role of employee experience occurs when shoppers are feeling financially bullish. Like right now. 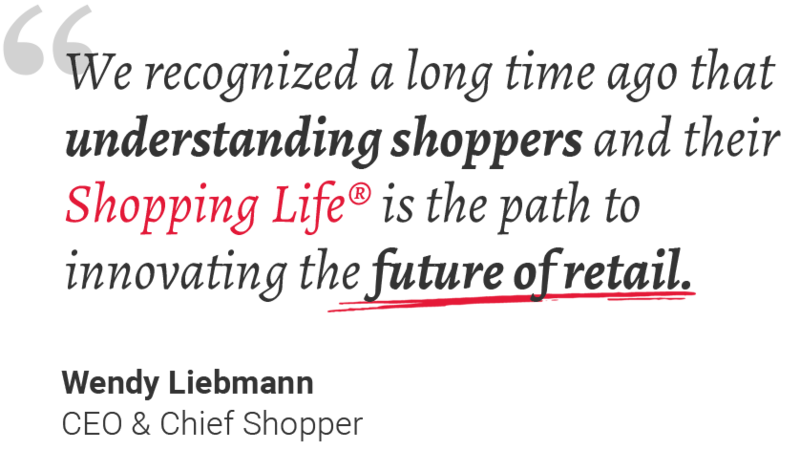 According to our How America Shops® report, Benchmarking the Future 2018. Shoppers do want to spend – 71% said they feel secure or optimistic about their personal finances. Much of that spending is still physical. Two-thirds of shoppers, across all age demographics, still make planned and quick trips to brick store for many different categories – every day and special occasion (i.e., the holidays). That’s true even for Gen Z shoppers. And they expect those in-store experiences to be easier and faster, whilst giving them more control. They are, for example, relying more heavily on tech to aid and improve their shopping. Two-thirds of Gen Z and Millennial consumers access shopping apps while in the store, receiving perks and rewards in return that make them feel like smart, in-control customers. In this everywhere, anytime world, shoppers expect the overall retail experience to be just that – an experience; one that justifies why they should spend their hard-earned money in that place, at that time. These expectations are not limited to merchants competing for the holiday dollar. All consumer brands, from health care companies to food sellers, are tasked with delivering heightened customer experiences at this time of year, and therefore all are expected to meet the low-employment/customer-service challenge. Target expects to hire 120,000 people for the holiday season, a 20% increase over 2017, plus it plans to double the number of positions to fulfill digital orders. New hires will start at $12 an hour, which could attract a larger pool of potential employees from which to choose. More important: Target has modified its onboarding process so workers will be prepared to serve customers faster. Target said it will train workers to focus on providing an “exceptional experience” for shoppers. Wayfair has opened two pop-up shops, in Natick, Mass., and Paramus, N.J., where shoppers can learn how to complete home-improvement projects at “How-To” stations, and browse hundreds of fabric swatches so they could create their own custom furniture. Shoppers also were able to browse Wayfair’s online selection and place order for one- or two-day delivery. Walmart is introducing virtual reality-based employee training to all of its stores, with the goal of reaching more than 1 million workers by the end of 2018, according to the “Walmart Today” blog. The experiential-learning programs, delivered via VR headsets, duplicate real events so users more quickly pick up on Walmart’s new technologies and how to be more empathetic and customer-focused. This kind of training will matter, for sales and profits, in coming years. Any merchant will find its future hinges on the customer care it provides in the coming weeks. It’s good news that unemployment is low and wages are increasing. The challenge, however, is that shoppers expect better service and experiences than ever before in traditional retail to compete in this digital-shopping age. There’s one word that will define this retail holiday season, and the year to come: it is “people, people, people.” Forget location, location, location. That’s a thing of Christmas (and retail) past.